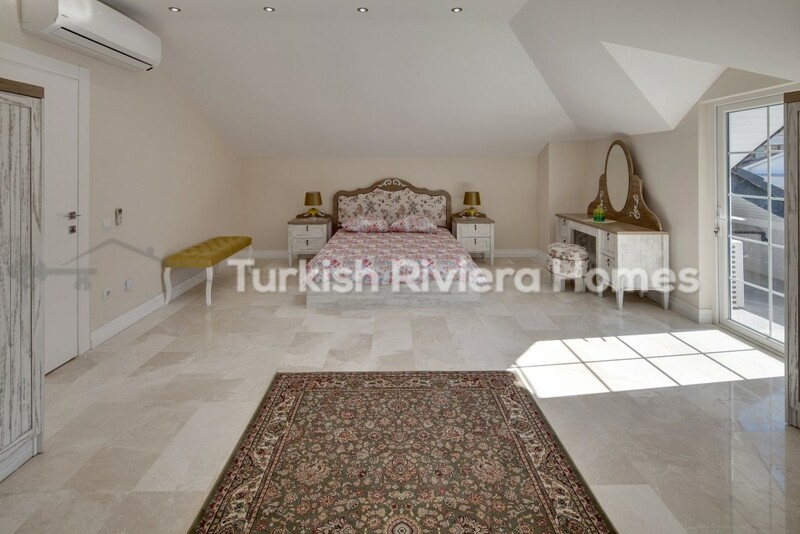 This is a huge villa right in the center of Kemer for sale offering you 6 spacious bedrooms and a modern design complete with private swimming pool and lovely gardens to relax in – a comfortable and practical lifestyle awaits. 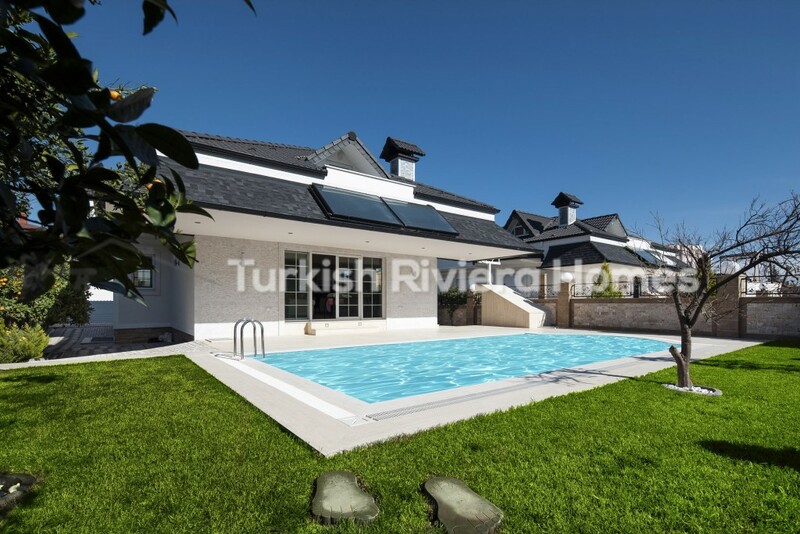 This is a very beautiful villa for sale in Kemer and has to be considered as one of the best in the region with a spectacular design and interior layout. 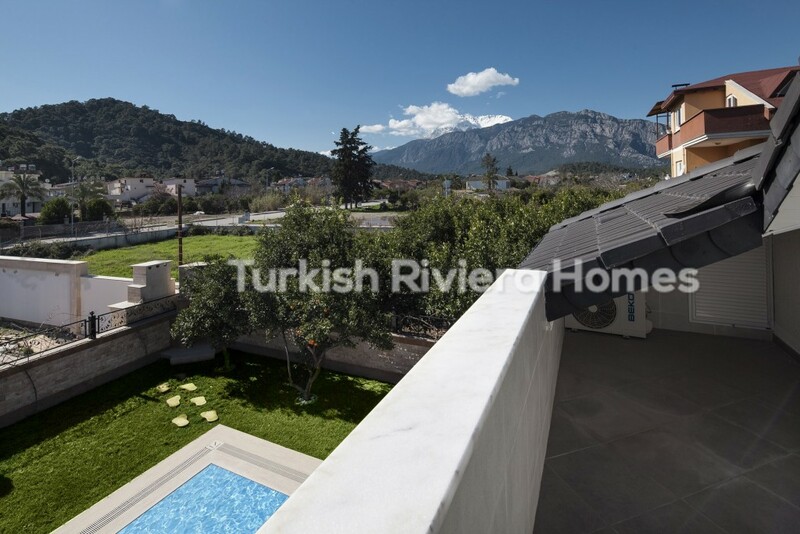 The villa is surrounded by nature and has views out towards natural surroundings and the Taurus Mountains. 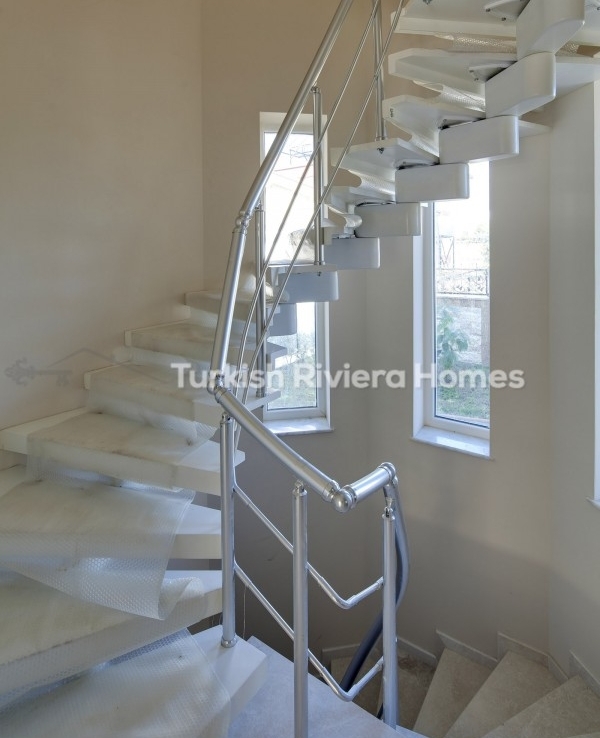 The villa is located on the Mediterranean coast of Turkey in a popular area called Kemer. Kemer is a delightful place to live and is home to several luxury hotels, parks, children’s playgrounds, sports facilities, entertainment facilities, and lots more for your living needs in the area. Kemer is a popular tourist destination and close by you can find Yacht clubs for sailing, or if you fancy skiing, then Tahtali skiing resort is only a drive away. 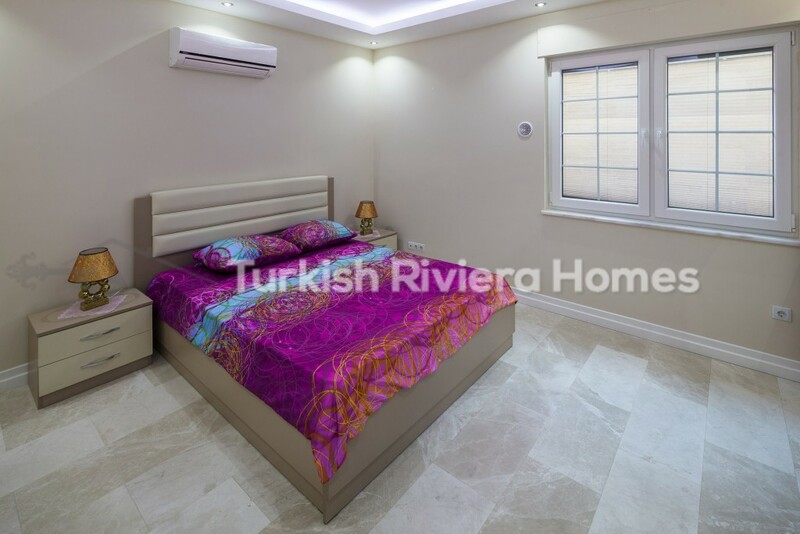 Kemer really is a unique and fascinating area to buy a luxury villa in Turkey. 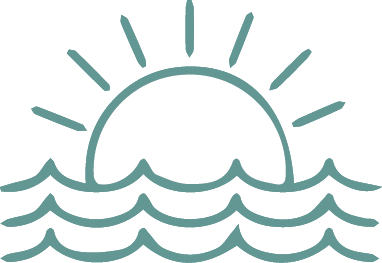 The villa is located only 5 minutes from the nearest sea which is a lovely zone to go walking as you can find many supermarkets, shops, banks, hospitals, shopping facilities, restaurants, and lots more all close to your property. 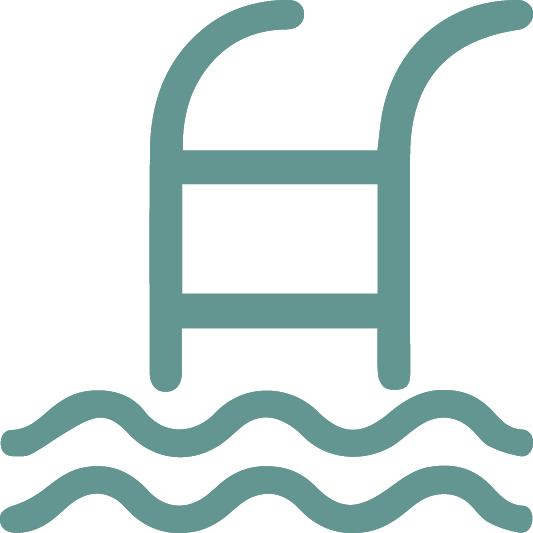 There are very good public transportation services just around the corner. The villa is a two storey villa and has 6 bedrooms and 3 bathrooms. The bedrooms are a very big size and when you enter the villa there is a spacious living room with a fireplace and an exit to the terrace and garden. A separate kitchen is equipped with excellent goods, while there is a utility room in the basement which could be possible to convert into a sauna or gym. The property has a highly private garden with lots of trees and plants for beautiful scenery and is overlooking towards mountains and the most stunning natural settings. In the garden there is a private swimming pool and the property is entered via a private gate. 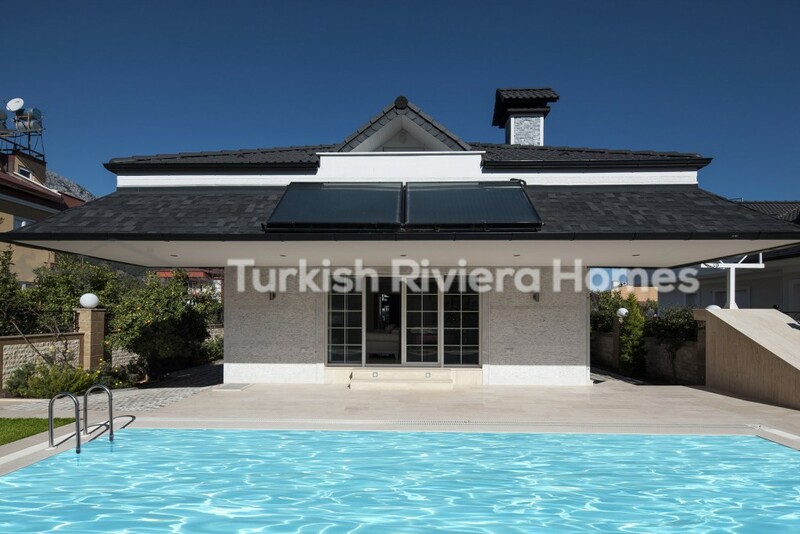 This is a highly luxurious villa for sale in Kemer and is located inside a very prestigious and family orientated area with lots of other high class real estate and properties. 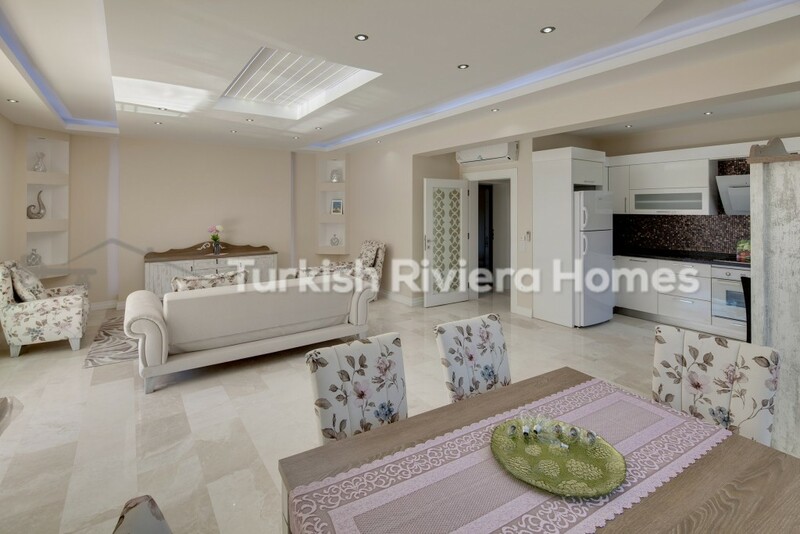 The villa is in an excellent condition and is a wonderful home in Kemer just 5 minutes away from the beach.